Home > Personal Details > Can a Notice of Correction Protect Against I.D Theft? 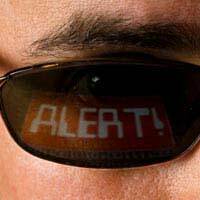 People who are worried about becoming victims of identity theft sometimes opt for a fraud alert. Done through one of the three main credit reference agencies, such an alert will flag your account for fraud or suspicious activity. A fraud alert also means you will be contacted before anyone can open an account, credit card etc in your name. If you are unable to be reached for any reason, the transaction will not take place. Now there is something that can also help when it comes to rebuilding your credit in the aftermath of someone stealing your identity. It's called a Notice of Correction, and getting one put on your credit report is easy to do. A Notice of Correction alerts potential lenders looking at your credit reference file about anything you may feel is factually inaccurate, or has additional background circumstances behind it which you would like them to take into account. It is used not only by victims of identity fraud, but by anyone who wants their lender to know more about bad credit – if a family tragedy occurred, for example, or if someone was suddenly made redundant and therefore was unable to keep their mortgage payments current. If they think that you have become a victim of identity theft of fraud, contact one of the three main credit reference agencies, asking to check your credit report. If something untoward shows up, ask them to put a Notice of Correction on the report to let potential lenders know that you have been a victim. You can do this by letter, phone or email. The Notice of Correction allows victims to add a 200-word addendum to their file, explaining any entry which they consider to be fraudulent. The Notice must not exceed the word count or contain anything that is libellous, incorrect, fraudulent or deemed to be frivolous or scandalous. If it is deemed to be any of the above, it may be passed on to the Information Commissioner, who will then decide how your credit file should be amended and what note should be added, if any. Please note, however, that if you do this, your applications for credit may be delayed. That means you will no doubt not be able for "instant" credit online or in a shop. Most people file a Notice of Correction when they have not been able to successfully change their credit rating with the three main credit reference agencies. You may, therefore, eventually chose to have the Notice of Correction taken off. Do not exceed the limit of 200 words. Stay away from blaming third parties, if possible. Make sure you stick to the abovementioned guidelines (do not write anything scandalous, frivolous etc). Can a Notice of Correction Help? Whether or not a Notice of Correction can really help victims of identity fraud is up in the air. Often it can just delay a rejection, although in some cases a lender may want to know more about the fraud, and ask for additional information. Please note that lenders who are searching credit reference agency databases are obliged to read a Notice of Correction. Whether they choose to act on them, however, is entirely up to them. Adding a Notice of Correction to your credit report is not difficult to do, and for people who have been victims of identity theft, it may make a difference when it comes to future lending. Then again, it may not.